We're getting close to the end of the year, and there's no better time to rethink our freelance writing rates. While I've already covered the issue here and on the writing forums, I want to revisit the topic again by taking a close look at the numbers and possible freelance writing rate strategies. Whether you prefer to charge for freelance writing jobs per word, per project, or per hour, you'll still need to account for an hourly rate. 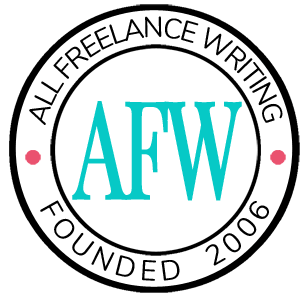 Finding the most appropriate hourly rate is really the key to setting freelance writing rates. Once you have that number, you'll simply charge accordingly. If you charge by the hour, that's easy enough to do. If you charge by the word or by the project, you'll need to estimate the amount of time a project would take or how many words on average you're able to write (not just how quickly you can type). In order to find the best hourly rate for yourself, you'll need to understand the difference between working hours and billable hours. Working hours include every hour you work (assuming a "typical" full-time work week, we'll say that's 40 hours). Billable hours, on the other hand, are the number of working hours that you can actually bill out to clients, minus the hours spent marketing and on administrative duties. Billable hours are often approximately, or a little more than, half of your total working hours if you're not neglecting anything on the admin and marketing side. To simplify the numbers, let's round it to exactly half, and say that out of a 40 hour work week, you would have 20 billable hours. Now we have something to start from. It's easy for a freelance writer to say "I earned $50,000 at my old day job and I got by fine, so I want to set a goal to earn the same amount from my freelance writing full-time." What's harder is understanding that the two numbers truly aren't comparable, and they can't be interchanged as easily as that. To get a more realistic number, you would need to figure out your real "cost" in your former full-time job. Think of it from the company's perspective instead of yours (because as a freelancer, you'll be playing that role). For example (assuming a US-based writer)... Your full-time gross salary would have included your portion of taxes, benefit payments, retirement savings, etc. on top of the net take-home pay. Use that as a starting point. Now add on any Medicare and social security taxes the employer had to pay for you as their employee, any contributions they made towards benefits or retirement, the cost of any supplies or other expenses they covered that made your work possible, etc. Now you have a more realistic number regarding what you would need to earn as a freelancer to be in a comparable situation. That number can be significantly more than your gross salary - in this example, let's say it works out to around $70,000. We've already covered the full-time working hours versus billable hours and the real salary you would need to earn to live a comparable life, so you may be thinking that setting an hourly rate is now as easy as dividing $70k by 52 weeks in a year and then by 20 billable hours (which would work out to a little over $67 / hour). But you would still be missing a vital part of the equation. It's highly unlikely that anyone is going to work 40 hours per week, for a full 52 weeks in a year. I always suggest deducting a minimum of two weeks to cover a short vacation and a handful of personal or sick days. So at a maximum, I would suggest you factor your hourly rate based on 50 working weeks rather than 52. In my own case, I prefer to take more time off when possible (for short trips, seeing family, getting things done around the house, etc. ), and try to account for extra for holidays, so I base my own goals on 45 working weeks. It's highly unlikely that you'll never have a slow period in your work. Because of that, the rest of your billable hours throughout the year need to account for any possible lapses. I'd personally suggest that you tack on 10-20% to your income goal we established earlier, or subtract another few weeks from your expected working weeks to get a more realistic calculation that won't leave you scrambling for extra income later. You now have an hourly rate established which you'll need to earn to reach your yearly income goals as a freelance writer. Now all you have to do is adapt that hourly rate to fit the pricing model you prefer (per word, per project, etc.). For example, if you want to charge per project, and you know that it takes you an average of ten hours to research and write a comprehensive business plan for a client, given this scenario, you would charge $777.80 per business plan. I would actually suggest that you round it up to $800, not only because it makes for easier billing and marketing, but also because rounding up a bit helps to account for any "problem clients" who may take an unusually large amount of time to get you what you need for a project, or who may demand excessive edits compared to others. In this case, if you really wanted to round up more to account for those things, you could charge a flat $1000. Keep the risk level of each type of project in mind when you figure out your per-project rates. As another example, let's look at setting a per-word rate with the above scenario. Let's assume that you know you can write about 1000 words per hour within your niche specialty with proper research and editing. Simply divide the hourly rate by the 1000 words you can write per hour on average, and you'll get a per-word rate of approximately $.08 / word. Again, I would suggest that you increase it slightly to account for any slow periods where you may not be able to fill your full 20 billable hours - so in this case, let's say $.10 / word. So if someone hired you to write a 500 word article, you would charge them $50. Keep in mind that these estimates are going to work much more effectively for a freelance writer who's a specialist in their niche (because they're intimately familiar with the best research sources for the topic and how much time the research on top of their existing knowledge would take) as opposed to a generalist who can't always know the amount of research needed or where to go for it, who won't be able to write as quickly because they're familiar with a topic, and who will likely have to spend more time editing and fact-checking. It would seem then that a generalist should charge even more. However, clients are rarely willing to pay more for a general writer than an expert in a niche (meaning niche specialists can choose to charge a premium rather than just what they need if they want to). It's just something to keep in mind, and another case for specialization in your freelance writing career. Great review, Jenn. In setting my rates, I’ve also factored in an allowance of a couple cents per word (which is how I prefer to charge right now), so that I can always be offering some kind of “Limited Time Special Offer,” which I always advertise on my site’s homepage. I find that by initially setting my rates a few cents higher, clients feel they are really getting a deal when I’m able to lower my standard rate just for them. Finally! Someone actually uses dollar amounts when discussing freelance rates. Next, I’d love to see some examples of what real working freelancers are charging for different services (copy writing, articles, editing, etc.). Thanks Jenn. I always have a problem setting my freelance rates and now, I have a clear guide to help me get started. i guess, the next question is if my rate will help me get quality freelance projects that I will love working for. Cheers! That would depend on your definition of “quality” I suppose. Rates can definitely influence the types of clients you attract though. While charging too much for a given market will obviously drive clients away, so will charging too little. You have to make sure you’re charging an appropriate price based on the value you offer within your given market. Great article on a very touchy and sensitive topic. It is essential that we as writers get paid for what we are worth, and for what we are expected to deliver. Be upfront and firm with your rates and leave some room for negotiation, but only in exceptional circumstances. It goes without saying that it is prefearble to have your own dedicated website where everyone can see your rates, thus lessening all the confusion.